I really believe in the power of music, it can change things. But do we over promote performing ability at the expense of appreciating music? Here’s a piece I wrote for Sinfini on a subject close to my heart. It’s time to teach the art of listening. Music is good for you! And if you’re looking for bonus points, classical music is as good as it gets, the sonic equivalent of broccoli and brown rice. Yes, it might be a bit boring, but with years of dedicated hard work, you too might be able to play a Mozart piano sonata, maintain your concentration through a whole concert, know which recording of Brahms 2 is ‘the best’ or even – if you’re some kind of genius – ‘get’ contemporary music. Right? Well, no. Anyone who’s ever been moved by Bach, Berg or Sibelius will testify to the above being a load of clichéd crap. But when it comes to the competitive world of parenting, classical music often seems to have a very specific role: it will make Junior smarter, give them an edge on the other kids, transport them to a zen-like state of calm and get them into that school. Don’t get me wrong – music is good for you. As the author Philip Pullman said recently, music is a fundamentally important subject, ‘the most emotionally and intellectually fulfilling’ thing a child can do. The educational benefits of performing are undeniable: focus, team work, listening and non-verbal communication, just for starters. There are inspiring teachers, supportive parents and fantastic classical music projects up and down the country. Look at Sistema Scotland, for example, or the education programmes of just about any orchestra: their Arts Council funding rides on it these days, for goodness’ sake. But for too many young people, classical music and pleasure eventually come to a crossroads and go their separate ways, an early love for classical music becoming a niche interest for people with ‘talent’. The truth is that when the pressures of exams loom in teenage years, parents often allow their children to drop music, it having now served its purpose. It’s a cycle I’ve seen first-hand. Of course not everyone can be a star. And of course there’s no shame in being average. But what’s the point of all that education if it doesn’t foster a life-long love of music? 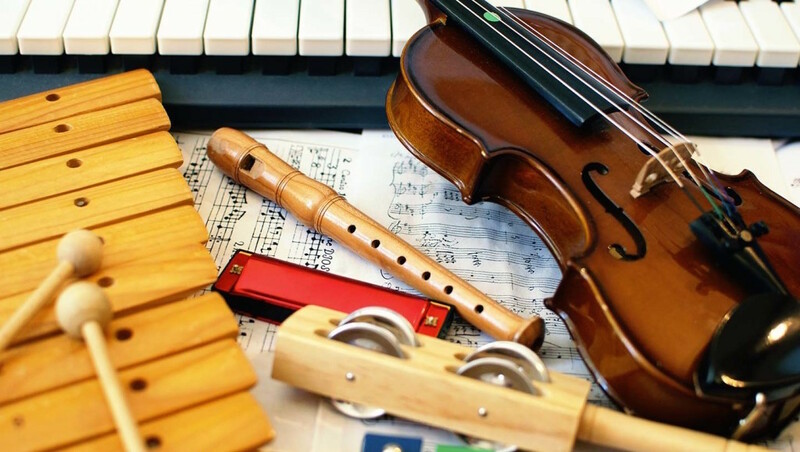 Instead of wearing kids down by making them grind through grades and performances, parents need to recognise that there’s value in music education beyond the ability to play an instrument. As part of our well-intentioned quest to expand our kids’ minds, we often prioritise measurable markers of achievement at the expense of everything else. We teach them how to play an instrument, while needlessly sidelining the lessons in history, poetry, philosophy, expression and language that classical music has to offer. My own experience as a young musician – and a grown-up music-lover – has convinced me that it’s far better to be a star listener than a frustrated player. As a musical child in a family that wasn’t particularly into classical, I dutifully worked through 11 years of piano and trumpet lessons before going to university (to read music) and realising that there was an entirely new dimension to music that I had completely missed through not listening deeply enough. I spent the next four years (and many since) attempting to fill the holes in my musical knowledge by voraciously consuming repertoire all the way from Bach to Varèse and some really terrifying avant-garde material. I wanted it all. Learning to listen is open to anyone, regardless of ability, but it does need to be worked on – especially these days, when most of us have the attention span of a goldfish. It’s a sad truth that for lots of people, the idea of sitting still and in silence through an entire concert is a major barrier to attendance. For every opinion piece I read that calls for a reimagining of the classical concert experience, I’m left wondering: is the problem that we’ve just forgotten how to listen? So don’t commodify music by turning it into a competitive sport, or viewing it solely in terms of its (considerable) educational benefits. Do sign your child up for those instrumental lessons. Do insist that practise is conducted with rigour. And do encourage them to take their performance exams, if they’re interested – but always remember that a musical education is about more than performing. If it’s done properly, it’s a life-long gift that never stops giving.